High definition picture photo prints on canvas with vivid color on thick high quality canvas to create the look and feel of the original nature and masterpiece. 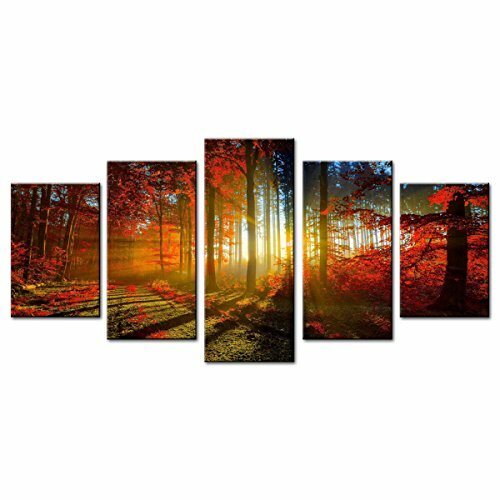 The canvas print is already perfectly stretched on wooden frame with hooks mounted on each panel for easy hanging out of box. The thickness of wooden frame is two centimeter.The side margins are also printed to create a particularly decorative effect. One perfect wall decorations paintings for your living room, office, bedroom, kitchen, hotel, dining room, office, bar and so on. Best Price and Quality Guaranteed. It is Great Choice of Gift to Your Families and Friends. If you have any questions about this product by MOCO ART, contact us by completing and submitting the form below. If you are looking for a specif part number, please include it with your message.